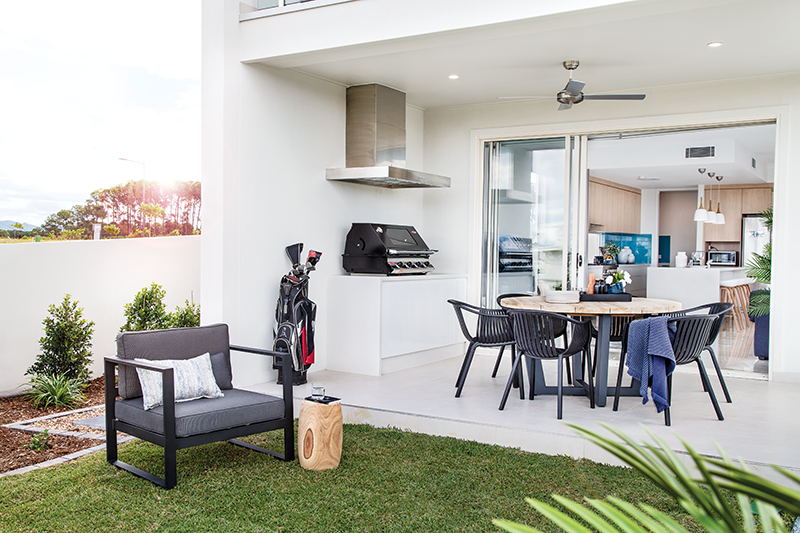 Homecorp Constructions are proud to partner with The Surf Life Saving Foundation to deliver luxury prize homes on the Queensland’s East Coast, from the Whitsundays through to the Gold Coast. Homecorp Constructions was proud to handover over the keys for the first prize home, The Plaza, to the Surf Life Saving Foundation, along with a contribution in the form of a $25,000 cheque. Homecorp Property Group General Manager, Marc Fritzsche, said it was a privilege to be part of something that has such a big impact on the lives of Australian’s. “Homecorp Constructions is privileged to be selected to deliver this luxury home for an organisation as important as Surf Life Saving,” Mr Fritzsche said. The two-storey Hope Island waterfront prize home includes a grand entry under the cover of an entry-statement arbour, leading to a luxurious open plan kitchen, living and dining with separate media room and powder room. The equally spacious second level encompasses four bedrooms with two bathrooms, a second living space, as well as a balcony off the master bedroom. Luxury finishes have been used throughout the home. The Plaza also incorporates excellent outdoor living with an outdoor kitchen leading out to a lavish swimming pool. Homecorp Constructions is a residential building company based on the Gold Coast, currently 11th top builder in Queensland with experience building luxury homes and villas. Tickets for the multimillion-dollar prize home are now on sale. To purchase tickets, visit http://www.surflottery.com.au/lottery-188/.